How to Change Seedbox Theme? One of the many good things about a ruTorrent Seedbox is that it has many more options in comparison to most of the other torrent clients out there. By default, your Seedbox comes with the oblivion Theme. If you don’t like it, here is a tutorial that shows, how to change Seedbox Theme. To change the Theme you have to click on the”Settings” and on the initial screen itself the “Theme Option” will show up. You can click on the drop down and select the theme you like and click “OK”. 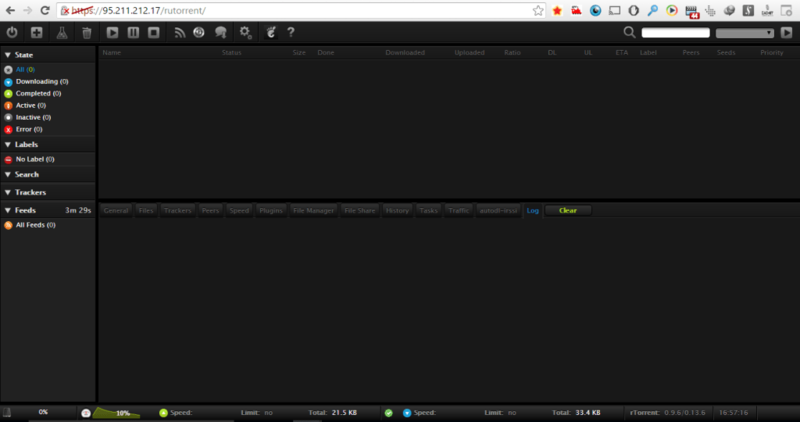 For reference, you can see below how ruTorrent Seedbox looks with different themes, so you can choose any you like. NextHow to Restart Your Seedbox?